With six locations around the east side of the state – in Evergreen, Arvada, Idaho Springs, Ft. Collins, Longmont and Steamboat Springs – Beau Jo’s is well-known for its “mountain crust” pizza. The Idaho Springs location is off I-70, so it’s a great stop-in spot for hungry travelers. The restaurant has been open for more than 40 years and attracts locals and tourists alike who enjoy dipping the thick and doughy crust in honey, a Colorado tradition. The dough is even made with honey. The drive to the Idaho Springs location from the Northwest Denver Campus takes 55 minutes, accompanied by beautiful mountain scenery. The restaurant is visible from the highway with a big “Beau Jo’s” sign. The town itself is nudged up against the mountain side, surrounded by many shops, breweries and other restaurants. Although there’s a parking lot that costs $10 for the whole day, the most convenient place to park is on the street, where the parking meter costs $1for an hour. Walking in to the aged building, it smells fantastic. The circular hostess stand has its own room separated from the dining rooms. The wait for a table was only 15 minutes and the waiting room was spacious and comfortable. The style of the restaurant is rustic and maintains an old Colorado mining vibe. After being seated, our server approached with water and pointed me in the direction of the salad bar. Knowing what I was going to get on the menu – the famous mountain crust pizza with honey – I ordered immediately. Within 20 minutes the pizza was served on a circular, raised tray leaving enough room on the table for my plate and the rest of my personal belongings. The thick crust was shaped into a spiral leaving creases to pour the honey. The pizza had a hint of sweetness and the cheese and sauce were fresh and unique to my tastebuds. The service was great. I was approached to make sure I was enjoying the meal and was asked if I needed anything else and was constantly served with a smile. I would recommend Beau Jo’s to a friend visiting the area, a local who has a sweet tooth, and anyone who is interested in having the famous Colorado “mountain crust” experience. The food was tasty, the service was exceptional and the experince was unforgetable. The short attention-spanned, bingeaholic, audiences of 2018 are tough to produce movies for, but if anyone can pull it off, would it not be the Coen brothers? “The Ballad of Buster Scruggs” is the Coen brother’s elegant response to a changing cinema audience. With six distinct chapters, The Ballad keeps viewers interested by telling a new story every 20 minutes or so, appealing to the short attention span of today’s Netflix-gorging viewers. 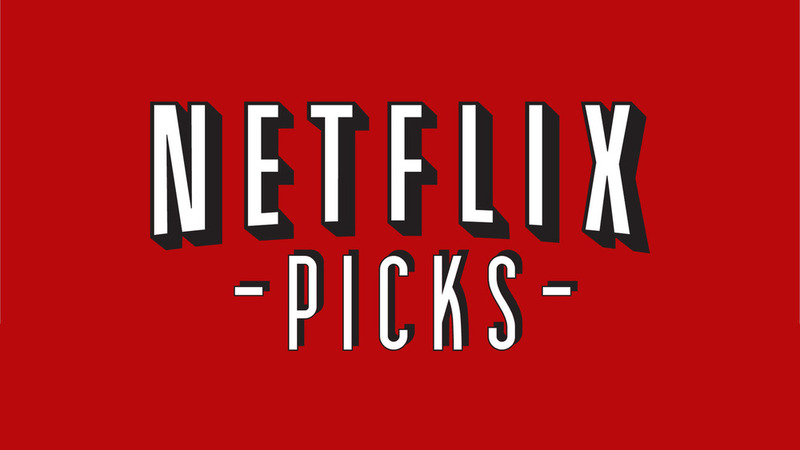 An interesting platform for a Coen brothers release, Netflix’s decision to work with the duo resonates with its attempts to bring not only more, but higher quality, original TV shows and movies to the site, which is under the stress of new competition in the streaming world. The richest part of the movie is hands down the characters. While we only get to know them for a short period, they leave deeper impressions in 20 minutes than most characters in feature length films. Add in an all-star cast, and the characters become increasingly memorable. Rich, unique characters are combined with carefully scripted dialogue (and monologues), then paired with beautiful shots filmed all over the West. It all adds up to a satisfying viewing experience that’s becoming increasingly rare. An emotional rollercoaster, the plot twists and turns throughout each story while playing with viewers’ emotions. Drawn out, but intricate dialogue is complemented by quick plot twists that rapidly move the film along. They mix in tragedy with laughter and put depressing moments next to silly ones – a new concept for a Western. Hopefully, this movie sparks a wave of new Western films. The choice to release the film both in theaters and on Netflix is an interesting one for sure but emphasizes the actual experience of going to the movies. Directors of “Fargo,” “The Big Lebowski,” “No Country for Old Men,” among others, it isn’t surprising the Coen brothers have produced a hit like this. In today’s cinematic landscape, it’s refreshing nonetheless. The last tale in the movie ends with a long section of back-and-forth dialogue, songs and philosophical thought; it’s a deep reminder of the kind of movie the Coen brothers can produce. The story even ends with a conversation about death, a lesser friendly reminder of how harsh the West was years ago. Every story is a struggle with death in one way or another, but many are watered down with laughter and wittiness. The last story ends the movie on a solemn note, but it respectively ties up the golden thread of the movie’s many scenarios, proving again that the Coen brothers rarely disappoint. As drivers approach Denver from the highway, a massive restaurant catches the focus of hungry people on their way home from work. It doesn’t look like your average Italian family restaurant. Maggiano’s Little Italy is a slightly upscale family-style space with a polished Italian finish. I found my way into the restaurant with a friend on a weeknight around 7 p.m. and was greeted by friendly staff welcoming us into this modern version of Italy. Our noses were automatically filled with the aroma of freshly baked pizzas and other mouth-watering dishes. As we were shown to our table, we saw a sea of people quickly filling the tables. We felt thankful we’d trickled in before all the seats were filled. To begin the evening, we ordered Tuscan-style mussels that were served with thinly sliced toasted baguettes for dipping into mouthwatering broth. Each piece of bread was buttered and cooked to a slight crisp texture to give it a crunchy texture that exquisitely absorbed all the flavors of the broth. The mussels were served in a big white bowl that was placed in the center of the table. They had a seasoned buttery flavor that made you want to eat more, finished with the flavor of fresh herbs. Though we were so stuffed from the mussels, we knew we wanted to order another dish. The entrees were so large that we shared a main course. We ordered a specialty pasta dish called Orecchiette Chicken Pesto, which was the featured dish of the evening. The fettuccini pasta was tossed in an herbed pesto that flavored the whole dish. Long slices of perfectly baked chicken rested across the pasta. The sun-dried tomatoes added a sweetness contrasted with salty pine nuts that complemented the pesto. The dish was beautifully finished with freshly shredded Parmesan. The night couldn’t come to an end without trying something sweet to please our palates. To conclude the three-course meal, we ordered a famous Italian desert: Tiramisu. The creamy mascarpone cheese was whipped to perfection, layered with slightly bitter espresso-dipped lady fingers that were topped off with whipped cream and dark chocolate curls. The first bite magically melted in my mouth. Every dish that was delivered to our table was elegantly arranged. The Tuscan-style mussels and Orecchiette Chicken Pesto pasta were both colorful. The way each dish was finished almost made me not want to take a bite and ruin it, but the smells clearly demanded us to taste them. Though each dish was a little pricey, the quality of the food made it well worth each dollar. Maggiano’s Little Italy had a welcoming ambiance and lovely staff that allowed friends and family to get away from home and take a quick vacation to Italy. The food was like something I have never tried, and I look forward to making a return visit soon to sample more delicious flavors. Beatty sampled his unreleased album with the crew at KRCX and talked about his inspirations, other artists he has worked with, and his artistic process. Anyone who’s interested in Beatty’s new album, or any other new music, can tune into the station at KRCX.org whenever they want. Beatty is the first of many successful artists the KRCX team hopes to welcome into the station this year and next. With a new staff, the station is on the rise and improving its lineup. KRCX is run by students who update the music library, market the station to the rest of the student body, and bring in talent to perform in basement sessions to share their music with KRCX’s audience. Basement sessions serve to get the station involved with the community, and vice versa. Artists can bring new or old music to show off – and even perform live on the air. The basement of Clarke is home to a broadcasting room, a studio with an isolation booth, a video editing room, and all kinds of equipment needed to create music. It’s a playground for musicians and music lovers alike. KRCX’s goal is to get more students tuned in and consistently listening to the station. It brings new, curated music to the student body and helps keep students informed about happenings on the Northwest Denver campus. Being an internet radio station, anyone can listen from anywhere, which makes it ideal for busy students who listen to music on their phones. In an era of music-streaming services, many students turn away from radio even though they can provide a tasteful and curated selection of music picked out by Regis’ own students. KRCX recently got some news attention thanks to 9News. The local TV station ran a piece about the band Queen’s first U.S concert, which was held in the Regis Field house in 1974. Regis has hosted many big-name concerts over the years, including Jimi Hendrix, Hall and Oats, and The Kinks, to name a few. With a lot to live up to, the new team at KRCX is becoming more and more involved around campus and is proud to be the official sound of Regis. In the future, expect to hear KRCX outside the student center, the dorms and around campus. So, remember to tune in to KRCX.org and support your local radio station. Award-winning directors and husband-and-wife team Elizabeth Chai Vasarhelyi and Jimmy Chin have captivated audiences again with their intricate documentary following the journey of world-renowned rock climber, Alex Honnold. The documentary follows Honnold through his life, into a relationship, and up the face of El Capitan in Yosemite National Park … unroped. While claiming its spot as a transformative movie for climbing enthusiasts, the movie presents non-climbers with a display of what it means to transcend fear and move beyond perceived human capabilities. It also shows what it means to be in a relationship with a man who doesn’t believe in attachments — to location, objects, people, or even to life. This is the childhood that kicked off his record-breaking, 1,000+ free solo climbs and led him to the base of El Capitan on Saturday, June 3, 2017. It is also, possibly, what causes Honnold’s brain not to recognize or process fear like you and I. Some say his brain is super-human, while some say it’s broken. The cinematography in “Free Solo” is characteristic of the work done by Vasarhelyi and Chin. Each camera angle is equally cunning and terrifying, both more than the last. Captivating and exhilarating footage leave theatergoers sitting on the edge of their seats, wiping the sweat from their palms. Gasps and jumps are close-to-guaranteed in scenes where Honnold hangs from exposed edges with his thumb and forefinger gripped onto a small indentation. These scenes are contrasted with tender moments he shares with Sanni McCandless, his now long-time girlfriend who has tasked herself with bringing the “real Alex” out of his shell by overcoming the obstacles of his attachment-void life. The film takes on an eerie feel as cast members recall free-soloist friends who’ve died, some in expeditions they were on. They recall phone calls telling them about long-time climbing partners’ deaths. These stories come between flashes of Honnold’s obsessive training on El Capitan. Journals of his days on the crag contain scribbles that, even if deciphered, are gibberish to laymen. His logs are completely devoid of emotion; they are mechanical memories of the climb up Freerider, the route to the top of El Capitan. They are hundreds of sequential movements, descriptions of rocks, jumbled in the mess of the climbing vernacular. They almost don’t seem like English. there is something on the menu for everyone. The restaurant has an “order at the counter” style, so there is no rush in the menu selection. Vibe:The unique lighting, vibrantly colored walls and artwork from local artists creates an edgy, casual vibe throughout the restaurant. Above the bar hangs more than 100 different beer tap handles (those that aren’t currently in use), each belonging to a uniquely crafted brew. The bathroom walls are covered in stickers from various bands, shops and campaigns. Overall, Fire on the Mountain creates an edgy, relaxed atmosphere that draws in customers from all walks of life. Hits:Fire on the Mountain serves a dozen different wing sauces, all made in-house. Each sauce has its own unique flavor and is created to pair perfectly with a variety of items on the menu other than wings. The hormone-free, antibiotic-free, cage-free wings are fried to a perfect crispiness on the outside, while remaining tender and juicy in the middle. They are smothered in the sauce of your choice and served with house-made ranch or blue cheese. Although this restaurant is popular among wing lovers, there are many gluten-free, vegetarian, and vegan options on the menu. Try the cauliflower wings covered in your choice of vegan sauce, or give the house salad a taste. There is a variety of options for those who choose not to eat our feathered friends. Misses:Fire on the Mountain needs to expand. The wait time comes not from the laziness of employees, but from the popularity of the restaurant and its crazy long lines. If the goal is a quick bite to eat, Fire on the Mountain is not the right choice. If it's not a weekday lunch, then a wait is guaranteed. Service:With its relaxed, casual vibe, Fire on the Mountain has become a weekend hotspot for anyone looking to grab a bite to eat. Despite its growth in popularity, the restaurant has yet to catch up. On a typical Friday or Saturday night, the minimum wait time for a table is around 45 minutes. Once inside the restaurant, the wait for food isn’t much shorter. Although the wait time isn’t ideal, the friendly, welcoming staff make up for it. Immediately inside the door, customers are greeted with a smile and helped instantly. There’s no need to stand around and wait for a hostess, as they are always prompt and the place is plenty staffed. Bottom Line:It’s worth the wait. Despite the wait time, your taste buds will thank you. From the classic traditional wings to the perfectly crisp fries – and even the “Asian Persuasion” salad, there is no wrong choice on the menu. Fun Fact:Fire on the Mountain is the first restaurant in the Highlands area to be certified green by Certifiably Green Denver, meaning they compost and recycle a significant amount more than they throw away. Along with composting and recycling, they also send in fryer oil to be turned into biodiesel, creating renewable fuel. In an effort to encourage sustainability, Fire on the Mountain offers a 5 percent discount to customers who utilize some alternative method of transportation. Does Denver sport new clothing and pet-rearing trends? Both smiles and shivers fill the newly white-covered streets. Pedestrians fill the streets near Regis. Two women catch my attention. They walk along the lighted road wearing matching teal hats, yellow coats and purple snow pants. At first it appears as if they are on the same ski team, but as they draw near, there’s an unexpected surprise. A stroller beams with a yellow light, so blinding that it’s hard to make out what’s inside. It’s not a baby; in fact, it’s quite the opposite of what you might expect: Two German shepherd puppies, and they’re wearing the same teal hats and yellow coats as the women. This sighting was the highlight of my day a few weeks ago. Not wanting it to be my last encounter with a quirky winter wear, I drove to downtown Denver to explore and discover more interesting styles. Heavy snowflakes blocked half the road and made visibility difficult, but I managed to catch a glimpse of another unusual fashion style: The Grinch, of the popular children’s Christmas story, yet with a twist. This man wore a green costume under a maroon coat while riding a massive circus-looking, one-wheeled tricycle. To say the least, I didn’t think this snowy day could get any more entertaining, but then –again – I was blown away. While visiting with a fellow Regis University college student at a nearby coffee shop, we were shocked to see a 5-year-old Australian shepherd dog tied outside near the store. That’s normal. People leave their dogs for a few minutes to pick up drinks inside. What was unusual? This beautiful dog was wearing a brown Carhartt beanie hat and stylish booties – yes, on all four paws. I guess that’s the advent of winter in Colorado, but is it also the beginning of a new winter fashion trend? My friend and I are convinced that quirky is in, and we can’t wait to figure out how to join in. Winters in Colorado are anything but ordinary – snowfall in September is evidence of that – but animals dressed up in human winter clothing and a man in a full-blown Christmas costume is evidence of something more. Are Colorado’s winters about to take a trendy turn? If so, the Regis community will be filled with smiles and laughter as we approach the holiday season. It snows in September in the state of Colorado, so anything is possible. Growing up, Abby Schneider didn’t have cable television. She grew up playing in the woods of a small town in New Hampshire. Despite this, her dream was to be like Warren Miller, a well-known filmmaker of ski movies. She wanted to follow in his footsteps. Schneider graduated from Colgate University in Hamilton Village, N.Y. – a town smaller than her own – and with no clear vision for her future, referred back to her childhood fantasy. “I’m going to be Warren Miller when I grow up,” she said. While applying for jobs in Beverly Hills, Calif., a former professor recommended she apply for a position with ABC News in New York City. The job was a long-shot and Schneider didn’t expect a call back, but sure enough, she got the job and not too long after, the small-town girl who grew up running in the woods of New Hampshire picked up everything and moved to the big city. Her memories of New York City are highlighted with extremes. She remembers using an unopened Crockpot box as a desk and a bucket from the Dollar Store as a chair. At this desk, she would transcribe episodes of ABC’s famous show, “What Would You Do?” She worked on the show doing casting, location scouting, scenario development, waiver signature collecting, and transcribing episodes. She’d go to bed late, then wake up as early as 3 a.m. to make it to the next shooting location. She commonly worked 90-hour weeks. Living expenses were high and her salary low, so Schneider worked side jobs tutoring for the SAT and walking dogs. Her mother, Sandy Schneider recalled this chapter as a developmental one. “ABC helped her become a professor, too, because she realized she didn’t like working in television as much as she thought she would,” she said. After some time, Schneider realized that a job in television wasn’t for her. An email arrived in her inbox from a former academic adviser at Colgate: It was a call for a post-doctoral researcher at the University of Colorado Boulder. Remembering her passion for psychology, her college major, Schneider promptly did some research on the position. A new section of psychology called “Judgment and Decision-making” was being added to marketing departments at universities across the nation. In her sparse spare time, Schneider began applying for research assistant positions. Shortly after starting the search, she found a position at Columbia University with faculty member Gita Johar doing survey development, data collection, and data analysis. She quickly left ABC behind and began working on experiments at Columbia University in New York City. While she worked as a research assistant, Schneider attended lectures and talks about new research in the field. She slowly recognized that she found every talk enticing. This ultimately inspired her to apply for graduate school. When application decisions came back, Schneider was left with a tough choice: Attend the University of Colorado Boulder or Northwestern University in Evanston, Ill. Evaluating these programs represented a dilemma: Would she follow her heart by moving to Colorado, a place she’d always wanted to live, or pursue an education at a top-rated, prestigious university? Schneider ultimately chose to attend CU to pursue her master’s degree. She recalls this decision as a turning point in her life; prior to this moment, she was concerned with the status of academic institutions and perfecting her academic identity, which she attributes to how she was raised. “I could have gotten a lot of money, but my parents wanted to maintain that it was something I should be intrinsically interested in,” Schneider said. Schneider remembers her parents solely showing pride for her accomplishments. “This is definitely a decision I think about frequently, still. I wouldn’t do things differently because that decision got me to where I am today and I wouldn’t trade this for anything,” she said. In an interview, her father, Mike Schneider, observed that Schneider comes from a long line of teachers. Her great-grandmother was a teacher, he himself was a teacher, and Schneider was raised among teachers. Her father also remembered what he thinks was the first time she showed interest in consumer behavior and marketing. Schneider’s mother recalled her daughter had good teachers, who were good role models, and that Schneider had been interested in psychology from a young age. For Schneider, teaching in this field almost seemed a destiny. An aspect of her time at CU that Schneider recalls fondly was the Watson program, which was focused on social responsibility. Schneider first crossed paths with Bead for Life at a Watson seminar, which completely changed her life and the course of her career. After Schneider graduated with a Ph.D., she applied to 95 universities, seeking a teaching position. “Out of the 95 schools that I applied to, there was only one that stood out … and it was Regis,” she said. Schneider always pictured herself at a liberal arts school, but never thought she’d be a business professor. When Regis came along, it opened up that door for her and she appreciated how the Anderson College of Business’ curriculum incorporated Jesuit values and applied a social justice lens. her passion was a bit easier. Now a professor of marketing at Regis’ business school, Schneider teaches classes that ask questions not only about marketing, but about the social impact of marketing on the global business environment. Last semester, Schneider even took a group of students to Uganda, in east-central Africa, to study social entrepreneurship, visiting a Bead for Life program as a part of her Marketing for Social Change course. As she’d promised herself years ago, she was living out another of her dreams. Finals are a stressful time, and there is something magical about Christmas lights. What better way to take a study break than at the Botanic Gardens downtown looking at Christmas lights. Each year for the holiday season the gardens are covered in lights for the Blossoms of Light festival. So if you are looking for a study break or just want to go look at lights check out the Botanic Gardens. Just make sure you buy tickets online because they are $5 more at the door. A classroom full of students learning about plant taxonomy is normally the last place one would expect to find enthusiasm and laughter, but in Introduction to Botany, taught by Catherine Kleier, Ph.D., it’s just another Tuesday morning. As a National Geographic Explorer, and 2015 Colorado Professor of the Year, Kleier’s enthusiasm and infectious love for nature stretches far beyond the classroom. 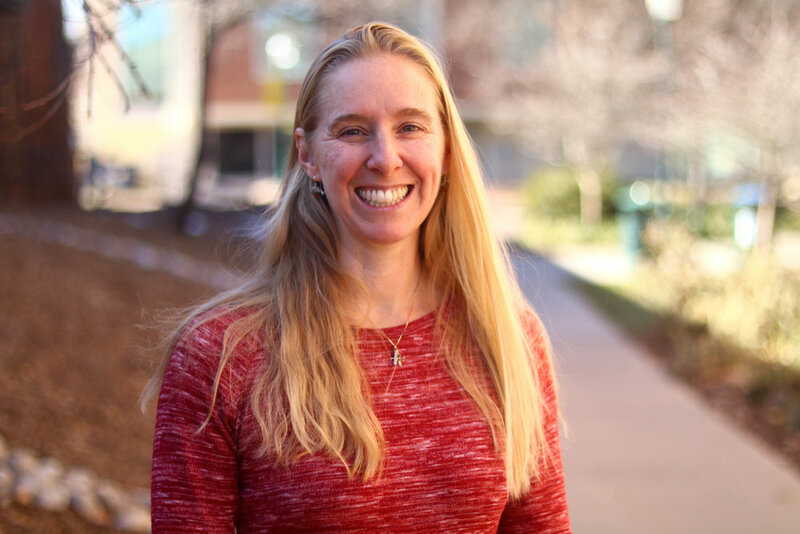 Kleier’s achievements during her 12 years teaching at Regis include being named the 2015 Colorado Professor of the Year by the Council for Advancement and Support of Education and the Carnegie Foundation for the Advancement of Teaching. However, one of her proudest achievements was receiving a National Geographic Waitt Foundation grant in 2011, which allowed her to travel to Chile to explore a rare alpine cushion plant called Yareta. Botany was not a priority for Kleier during her undergraduate years. She studied Biology and also enjoyed taking humanities courses such as Classics and Film Studies. Her interest in botany wasn’t sparked until she took a plant class her senior year at the University of Colorado Boulder. She then took a few additional botany classes after she graduated before returning to Boulder for more classes, and then headed to the University of Oregon in Eugene for graduate studies in plant taxonomy. Kleier later attended the University of California, Los Angeles, where she earned her Ph.D. in Evolutionary Biology and Ecology. Research has taken her across the globe. Her dissertation work in the Andes mountains of Chile was inspired by her love of alpine cushion plants, which she became acquainted with during her time in Colorado. She’s now one of the leading researchers of the Yareta plant. “Good teaching is supported by good research,” Kleier said. During her time in Colorado after college, Kleier was a trip leader for an outdoor adventure company, where she led teenagers on hiking and backpacking trips in the mountains. It was during these summers —hiking and backpacking in the Colorado wilderness— that she realized she wanted to become an alpine ecologist. Kleier believes students can learn from her own late introduction to botany. Her journey to graduate school began with curiosity, but she lacked a clear path toward what she wanted to do or be. She followed her newfound love for botany to see where it would take her, and it led to more academic schooling. Never did she expect her interest in botany to lead her to where she is today – a professor at Regis. Her interest in teaching began as a teacher’s assistant at the University of Oregon. She combined her desire to teach with her appreciation for research, and that’s when she decided to pursue her doctorate at UCLA. “It’s important to me that students understand that you don’t always know what it is you’re going to do,” Kleier said. Discovering your career in this organic manner, rather than setting on a path before understanding it well, is what Kleier brings into the classroom. She recommends being open to learning and changing one’s mind. Her students appreciate Kleier’s teaching style. Kleier’s extensive work in botany evolved alongside her passion for the outdoors. As an avid hiker, her love for the outdoors finds its way into her classrooms. “I find when we give attention to nature, it’s very fulfilling. You’re celebrating it and it can be a hobby that is not consumptive,” said Kleier. She believes that students introduced to botany learn to appreciate nature wherever they are. Beyond that, it’s a healthy hobby that anyone can enjoy. “To be more familiar with your surroundings makes you feel at home wherever you go,” Kleier said. Kleier’s love of nature and the outdoors resonates with her students. “Dr. Kleier has deepened my interest in my already existing passion for the outdoors,” said Nicole Linkowski. Botany is an endless and joyful pursuit, Kleier believes, and one worth sharing with the world. It’ll always be needed and relevant. "You can’t climb mountains forever, and you can’t ski black diamonds forever, but you can botanize forever," said Kleier, who, incidentally, does all three. So, what’s next for Kleier? She wants to learn more about genetics, molecular biology, astronomy, and basically all things outdoors. She’s working on another course, in addition to her book/video course, “Plant Science: an Introduction to Botany.”In 2020, she plans to visit New Zealand on sabbatical to research plants. A mom, botanist, mentor, and inspiration to many, Kleier proves that botany is much more than a science class; it’s a class about life. She exemplifies how passion can stick with someone for the rest of her life and blossom into a relationship with nature worthy of sharing with the world. Coach Sarah Kellner came to Regis looking for a job but ended up with so much more. As I drive up Loveland Pass after a snowstorm, the mountains in every direction are scattered with carving “S” patterns from top to bottom. About a mile up the pass, a wide sweeping turn is bustling with rad dudes and dudettes walking with skis and boards. In the parking lot, hot dogs are being grilled, people are hanging around their cars, dogs are running around, trucks are picking people up – the stoke level is high, some might say. If you’re unfamiliar with Colorado ski culture, it probably looks more like a snowy football tailgate, but as you talk to folks, you begin to realize they’re at the pass for the same reason: unlimited, deep, fluffy, snow. And the skiing is free. As a group of about a dozen or so toss their gear into the back of a truck and pile themselves in, they get ready for the 10-minute ride to the top of the pass. Hitchhiking Loveland pass is the easiest and most accessible backcountry skiing near Denver. One of the highest mountain passes in the world and at the Continental Divide, Loveland Pass is consistently open during the snowy season – and a significant hub of activity after a snowstorm. Sitting on the side of a truck bed, I hear seasoned ski bums talk about skipping work, “escaping the wife,” and reminiscing of winters past. I turn my attention back to the mountains, semi-trucks with chained tires drive past, routing around the Eisenhower tunnel. White-knuckled tourists in rental cars navigate the snow-covered roads. At the top, I hop out of the truck and am instantly engulfed in white mountains. Clicking into a pair of beat-up, center-mounted park skis, I am not exactly ready for 2 feet of fluffy powder, but I am complaining either. After making a few passes and stopping to catch my breath, I was greeted by the faint swishing sound of a fellow skier in the distance, a dog barking at its owner skiing down the mountain, and even the soft sounds of falling snow. The blissfulness of the mountain is a good distraction from the potentially dangerous terrain below. Steep cliffs litter chutes and gullies and are countered by wide-open powder fields on different lines. The variety of the terrain makes it welcoming to more than expert skiers; its terrain and easy accessibility is a fitting introduction to aspiring backcountry skiers. This same easy accessibility means Loveland Pass draws inexperienced and unprepared skiers into potentially risky avalanche areas. Most Loveland Pass novices stick with someone who knows the area to stay safe. It can be a dangerous place and should be treated as such. There’s no lodge at the bottom with amenities or First Aid gear. You ski here at your own risk. The risks don’t stop those who ski it, and it’s a pretty popular place during a decent snowstorm. Loveland Pass is a fun getaway from the long, early season lines at neighboring A-Basin. The pass provides a fun change of pace with loads of options. Next time you find yourself on the pass, don’t forget to pick up a friendly hitchhiker. We get cold, and appreciate the ride. Denise Maes, public policy director at the American Civil Liberties Union of Colorado, visited Regis University in November to discuss the current issue of immigration in our country. Maes addressed Deferred Action for Childhood Arrivals (DACA), as well as the Zero Tolerance Policy, with hundreds of students, faculty, and community members in the St. John Francis Regis Chapel. Maes first shared the stories and experiences of a few DACA students, and explained the situation many students of similar circumstances are facing: the fear of deportation. She discussed the changes the United States has faced under the current administration and described DACA as “in limbo.” Maes stated that she is not confident that the Supreme Court will rule in favor of DACA. She went on to further discuss immigration, specifically surrounding the Family Separation Policy in the U.S. After Trump’s executive order for a Zero Tolerance Policy, about three thousand children who had crossed the border into the United States were separated from their families. Maes explained the effects this separation had on these children. “Every single child advocacy group … agrees that we have caused irreparable harm and trauma to these kids,” Maes said. Following Maes, Regis faculty member Allison Peters read an anonymous story on behalf of a current Regis student. This student’s story depicted her life as an undocumented student in the United States. Growing up, this student explained her life, as an undocumented immigrant was full of fear and uncertainty. During her time at Regis, the student had received multiple threats, including death threats. Despite these obstacles, she has remained fairly optimistic. “My story is one of thousands, but we are here, working for a better life, allies for those who stand for what is right. I, too, am a Regis student,” said Peters, reading the student’s remarks. Two Regis alumni also spoke to the group about their experiences as undocumented students. Each person had a unique story. The event soon turned toward questions and answers between the speakers and the audience. The event, which was part of Social Justice Week on campus, stimulated conversation within the Regis community. Hearing the true, first-person stories from former undocumented immigrants themselves shed light on an incredibly relevant issue in our world today. A horror film screening to start of the beginning of the end (of the semester, that is). Despite years of scientists’ warnings, the United States has neglected to make combatting climate change a priority. According to the National Climate Assessment, a report released by the government, the United States is headed for economic, health, and environmental disaster by 2100. The report also clarified the role of humans in climate change and highlighted recent events that were exacerbated by the effects of climate change. For the past 12 years, scientists have measured the effects of climate change to predict the outcomes of current degradation. The report is released every four years. This year, the report, which was commissioned by the Administration, paints a bleak picture. In the first paragraph of the report summary, it states, “Climate change creates new risks and exacerbates existing vulnerabilities in communities across the United States, presenting growing challenges to human health and safety, quality of life, and the rate of economic growth.” The following section highlights the ways climate change disproportionately affects the poor and marginalized around the world. The release of the report follows comments by Trump claiming that forest fires in California are happening more often because the National Forest Service fails to rake its forests. Just before the release of the climate assessment, Trump posted on twitter, “Brutal and Extended Cold Blast could shatter ALL RECORDS - Whatever happened to Global Warming?” The tweet has close to 30,000 retweets and 115,000 likes. The climate assessment describes climate change’s effects on communities, the economy, water, health, indigenous peoples, ecosystem services, agriculture, infrastructure, oceans and coasts, and tourism and recreation. It links them all together in a final section titled “Interconnected Impacts.” In this section, the report shows how all effects are not singular; they are all interconnected and affect one-another. The report predicts that annual deaths due to climate change will rise to the thousands by 2100. It also calculates the economic impacts of climate change on the United States, claiming that losses due to climate change will increase from the current $280 billion to $500 billion per year if we remain on the current path. On a local level, the report predicts detrimental impacts on the water supply for the West. Lake Meade has already witnessed a 60 percent loss in volume since the turn of the millennium. The National Climate Assessment ended the report with recommendations on strategies, claiming that local governments will be the primary drivers of the green movement and adaptation. It addresses perceived challenges with potential solutions. From much of the content, it’s clear the biggest challenge for policy-makers will be getting taxpayers to agree to costly, but necessary adaptation policy. As the sun began to set on Thursday, Nov. 29 around 5 p.m., Regis University students began to gather around as a community as they awaited the annual tree lighting on the Northwest Denver Campus. Regis has been bringing the campus community together in the essence of the holiday for more than 25 years. For some students, this event marks the beginning of their Christmas season. As the night progressed and cold set in, students and community members shared hot chocolate to warm their hands. The Griswold family Christmas lighting made an appearance at Regis during the ceremony. Father John P. Fitzgibbons, S.J., re-enacted the iconic house lighting scene in the movie “Christmas Vacation” for the cameras, which included a 9News video photographer, giving the audience a good laugh. Students made their way to the quad and gathered around the nearly 80-foot-tall white fir tree. Students rolled their tongues to create a drumroll that was heard throughout the quad before the University student choir led those in attendance in singing Christmas songs. Smiles were seen all around while “Noel,” “Frosty the Snowman,” “Jolly Old St. Nicolas” and many more treasured Christmas tunes were sung. Some of Regis’ leaders said a few words about the history of this seasonal tradition. “They wanted to promote religious and racial unity,” said Barbra Wilcox, the vice president of Student Affairs. For 109 years, the tradition of the Christmas tree lighting has continued in the United States. Tree lightings were used as a way to strengthen communities and bring people together after the rise of urbanization and industrialization. “As we come together tonight on this campus, it’s fitting that we return to the roots of this tradition as it honors our core values and serves the most vulnerable among us to discern the greater good to glorify God,” said Wilcox. The excitement began to rise as the countdown from five began: “5-4-3-2-1,” then everyone cheered as the tree was illuminated with blue and yellow lights top to bottom. Some students have been coming to Regis’ annual tree lighting since their freshman year and have made it a tradition to begin their Christmas celebrations. “I enjoy coming to the Christmas tree lighting every year because it marks the beginning of my holiday season,” said student Virginia De La Torre. “It’s great to come together as a community and enjoy this special moment because everybody enjoys moments like this, so we can all join together on campus and enjoy it together,” said student Dani Starks. After the tree was lighted, students gathered in Walker’s Pub to enjoy sweet treats and cookie decorating. The night came to an end and students made their way home, but the blue and yellow covered tree continues to light the campus for the remainder of this holiday season. Beginning in kindergarten, Becky Vartabedian attended 59 consecutive semesters of schooling, culminating in a Ph.D. from Duquesne University in Pittsburgh. This was no easy feat, and stands as an accomplishment not shared with many others. Among Vartabedian’s many schools and universities is Regis University, where she is currently an assistant professor. Vartabedian teaches in the Philosophy department, the Honors Program, and the Integrative and Foundational Cores. In both attending school and teaching at Regis, Vartabedian has been well respected, according to students and colleagues. Vartabedian found her love for philosophy while attending Regis. In high school, it hadn’t been a subject she particularly enjoyed, but during her time at Regis, things unexpectedly changed. As a first-year student, Vartabedian took a philosophy class from Professor Karen Atkins, Ph.D., also her adviser. After graduating from Regis, Vartabedian attended Denver Seminary and the University of Colorado Denver before earning her Ph.D. at Duquesne University. She then taught at several universities as an adjunct faculty member before coming to Regis in 2012. For four years, Vartabedian served as a term instructor before becoming an assistant professor, the title she currently holds. She teaches many subjects, such as philosophy and peace and justice, saying she has no particular favorite. As a professor, Vartabedian enjoys learning with her students versus merely lecturing in front of a class. “As a teacher, I want to learn with my students and a lot of what we’re able to teach here at Regis gives us that opportunity,” Vartabedian says. Vartabedian is well liked among her students, who used the following words to describe her: “engaging, intelligent and inspiring.” She focuses her classes on a more dialogic approach, rather than lecture-based, which has proven to be an effective and engaging method. “I feel as though Dr. Vartabedian’s class opened my eyes to other perspectives and worldviews. Her class really showed me what Regis is all about,” says Paul Lenz, a third-year Regis student. Although Vartabedian’s class was requirement for the third-year business major, Lenz explains that he would take the, Writing for Social Justice, class again. Despite the fact that the class had nothing to do with his major, Lenz found Vartabedian engaging. Vartabedian’s colleagues also speak highly of her. Professor Eric Fretz, Ph.D., department chair of the Peace and Justice Studies, has taught alongside Vartabedian for several years and describes her as “brilliant, yet humble.” He explains that despite her exceptional intelligence, she carries herself with a deep level of humility, which he called rare. “Every time I talk to Becky, I learn something I didn’t know. In addition, she just makes me feel good as a friend; I never feel talked down to,” says Fretz. Vartabedian’s reputation extends beyond Regis’ Northwest Denver campus. She belongs to several professional organizations, including the American Philosophical Association and the Society for Philosophy in the Contemporary World. Through these and other organizations, she speaks at conferences and contributes to literary journals. Beyond Vartabedian’s professional life, she enjoys weight lifting, baseball, and spending time with her husband, Andrew, whom she met when they were students at Regis. She met her husband while visiting a classroom for a school project. He was student teaching in that classroom. Her husband is her greatest inspiration, Vartabedian says. He’s an artist – working in photography and ceramics – as well as an art teacher at Northglenn High School. Their relationship is full of curiosity and excitement, she says. Another of Vartabedian’s inspirations is French philosopher Maurice Merleau-Ponty, whose work is the basis of her master’s thesis. Merleau-Ponty’s work focuses on the meaning of human experience. Vartabedian explains that her philosophical thought, along with her worldview, closely aligns with Merleau-Ponty’s philosophy. In a similar way, Vartabedian provides inspiration to her own students. Lea Stenerson continues to leave her legacy on Regis’ Northwest Denver campus through her teachings of anatomy and physiology to future nursing students. Stenerson grew up in a city outside of Portland, Oregon, and said she had a fortunate childhood with loving parents as well as several friends. She grew up loving sports and teaching, roles that influenced her current professions as a personal trainer and a professor here at Regis. As an alumna of Witworth University in Spokane,Washington., Stenerson knew that working in a similar small, Catholic setting would be important. She was drawn to apply for a position at Regis after a close friend introduced her to the idea. She admired the community and its overarching notion of living and working in service to others. Besides her Witworth undergraduate degree, Stenerson holds a master’s degree in exercise physiology from the University of Colorado. She’s a certified personal trainer, which allows her to incorporate her dual loves for sports and teaching. Though she is passionate about her profession, Stenerson explained some of the daily challenges she faces. With a busy academic and professional schedule, she finds it difficult to balance everything. “Your job is never done,” she said. As the years have progressed, she’s had to consider the best way to get certain content across to her students to provide the best learning experience for them. She adds humor and incorporates youthful jargon to help students make connections regarding the content. She added that although this is challenging, it’s also the best part of her job. “I love teaching and I am so fortunate for what I get to do and love passing that on, so my students can find that same kind of passion for themselves,” Stenerson said. She has always had a passion for teaching. Throughout her life, teaching has been incorporated into what she does. As a young woman, she was an outdoor counselor and along the way found various other teaching opportunities that eventually led her toward formalized teaching at Regis. Nearly nine years ago she became the anatomy and physiology professor for the lecture classes. Once she applied and received the job, she continued to teach both. Along the way, she has altered her teaching methodology and the course itself to ensure that students learn the material. After nearly nine years of teaching, Stenerson has developed her own way of making learning more enjoyable for her students. She is adored by many of her pre-nursing students for her teaching style. “She loves anatomy and teaches in a way that makes me want to love it too,” says Emily Pennylegion, one of Stenerson’s current anatomy students. Stenerson says she’s fortunate to have the opportunity to help students enjoy learning through the process of making connections and finding motivation to learn more. She wants her students to enjoy the progression in learning to inspire them to keep educating themselves. “It’s not just about knowing where the femur is, it’s about wanting to expand on it and learn everything you can about that particular bone,” Stenerson said. Another current anatomy student explained how much she envies Stenerson and her teaching methods. Kristen Macmillan, a second-year pre-nursing student, explained how she enjoys the constant excitement and energy that is included in every lecture. “It can be difficult to find a professor who cares as much as she does,” said Macmillan, adding that Stenerson clearly cares about her students and their success. Stenerson stated how professors are often seen as brilliant people with so much authority, although they have faced hardships in life as most people have and more than students may realize. As a professor for future nurses, Stenerson has an empathetic understanding of what her students go through and can better comprehend how they could feel if, by chance, they do not get into the program they desire. She has faced a similar hardship of not being accepted into her desired program while she was attending school. “Keep trying and it’ll happen,” she advised. Stenerson applied to the athletic college at her university, and although she met all the qualifications, she didn’t get accepted. While it was difficult to understand why she didn’t get accepted, she knew she wouldn’t stop trying. To quit would’ve been the moment that she failed, and she would have never reached this point in her life. Through her perseverance she managed to accomplish many things, including getting into her chosen program. Every professor has a life outside of teaching. Beyond coaching and teaching, Stenerson raises her three young boys with her husband. Taking care of her boys is a full-time job within itself, but Stenerson still manages to make time for other activities. As a Boulder resident, she spends a lot of time outdoors. In the summer she loves trail running, biking, swimming and camping with her family. She also leads a trail running group in the summer. Her love for sports at a young age helped her reach this career path. Coaching and personal training allows her to incorporate her passion for sports into her love of teaching. Now, with winter here, she and her family will spend more time on the downhill slopes at ski resorts. “I love teaching and am so fortunate for what I get to do, and the legacy I hope for is to leave knowing that people enjoyed the classes and hopefully they gain more inspiration for their careers,” Stenerson said. Alyse Knorr has loved creative writing and stories since she was a little kid. Before she knew how to write she would make up stories and have her dad write them down, drawing pictures to illustrate them. Later in life, she wrote poems in her graphing calculator in math class. Now, as a creative writing professor at Regis University, Knorr teaches what she has loved for so long. During roughly three years at Regis, Knorr has garnered appreciation and respect from many of her students, including Violet Mitchell and John Malone. “[Knorr has] a lot of energy and she has a wealth of knowledge to give us,” said Mitchell. “[It’s] really helped me [to] see how to be a great professor, how to be a great person for your students,” Malone said. Knorr saw a job posting for Regis University and was intrigued, so she decided to apply. She thought it was an “amazing school” and found the Jesuit mission “intriguing.” She also enjoyed the small school aspect. “Everyone is so kind and sweet and it’s such an amazing community,” Knorr said. Knorr attended Elon University in North Carolina, which also is a small school. She originally majored in psychology but switched to creative writing and journalism. “My parents, growing up, were both teachers,” Knorr said. Initially, she didn’t want to be a teacher like them; she wanted to be a journalist. However, when she graduated in 2009, the economy was bad, making it a good time to pursue a Master of Fine Art (MFA) in creative writing. Eventually, she realized she had to teach. Knorr says her job at Regis is the only job she’s ever had in which she feels more energized after work. Working at Regis University feels important to her and like something that needs to be honored. An example she gave was how seriously Regis takes assisting students in finding their vocations and how that makes her work feel important. Right now, Knorr’s life is about to take a turn: She’s going to be a parent. Her wife is pregnant and the couple are closer than ever. “We’re just having a great time,” Knorr said. They’re picking out baby items for their child and getting the room set up. They even have a “family portrait” of Knorr, her wife and their cat drawn as animals. In this illustration, Knorr’s wife is a cat, their cat is—surprise—a cat, and Knorr is an orca whale. Mitchell, a student at Regis University, sat on the hiring board that selected Knorr. She’s a senior now. A freshman when she met Knorr, Mitchell described the professor as “enthusiastic and passionate” during the hiring process. Mitchell has taken a class with Knorr roughly every semester since Knorr was hired. She says Knorr loves poetry and is dedicated to it. “She helped me foster my love of poetry,” Mitchell said. “I’ve always brought her my writing and she’s given very supportive feedback.” Mitchell is on the Queer Resource Alliance, which puts together brave space trainings with Knorr. The two are founding members. Another student Knorr has impacted is junior John Malone. He met Knorr in the fall of 2016, his freshman year, when he had a class with her called Digital Writing Lab that is required for all English majors. Since then he’s been her teaching assistant for her RCC first-year seminar, Superheroes, for two years. “She’s very helpful; she’s been a great mentor for me,” Malone said. He described how Knorr taught him how to be a good professor – to be open to students and make sure they’re OK outside of the classroom. Currently, Malone is an intern for Knorr and her wife’s publishing company. Besides teaching and writing, another of Knorr’s passions is playing music. She’s in a band called the Plagiarists with other Regis faculty. She plays guitar and sings in the band. She also enjoys working on home renovation projects. Knorr has lived her life with words scrawled into her soul. From an early childhood of storytelling and writing poetry on calculators to now with her work.